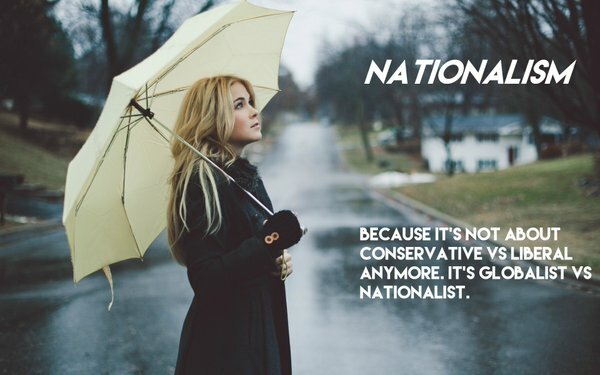 The folks at Winter Watch are not naïve. We know foreign agents conduct covert operations online everyday worldwide. In fact, to even mention it anymore almost seems to be somehow passé. Yet, once in a while, we see something of such gross temerity that it must be flagged and brought to your attention. Such is the case with Act.il. Kudos to investigative reporter Josh Nathan-Kazis at the Jewish news publication The Forward for writing “Shadowy Israeli App Turns American Jews Into Foot Soldiers In Online War,” a story that brings to light an insidious Israeli-intelligence operation launched in the United States in June. We highly recommended reading the article in full. Act.il (Act-il.com in the U.S.) is a mobile app that serves as a platform for uniting, organizing, training and deploying international hasbara. Through the app, 12,000 pro-Israeli “volunteers” worldwide (but mostly in the U.S.) receive marching orders — or “missions” — from Israeli agents and operatives located at its headquarters in Herzliya, Israel. The app users’ missions are covert, vary widely in scope and include both online and offline tactics. For completing missions, Act.il’s volunteer users get points and badges. Top-ranked users complete five or six missions a day, The Forward reports, and win prizes, receive a congratulatory letter from the Israeli Minister of Strategic Affairs or a doll of Israel’s founding Prime Minister David Ben-Gurion. Act.il’s stated goal is to push back against the BDS Movement; however, descriptions of its missions reported by media seem to indicate it’s going after any sort of discourse critical of Jews or Israel, as well as encouraging political action among voters of foreign governments such as the U.S.
Haaretz put together this short little explainer video. I’m surprised Acti.il’s troll army hasn’t had it taken down yet. In the news and social media space, Acti.il directs its hasbara-troll users to employ a tactic called “flooding,” which involves blasting a large amount of content at a particular news article or thread to distract the reader and dominate any discussion. For example, when something is identified as unflattering, Act.il will ask its volunteers to “leave a comment to uncover biased reporting” and “feel free to like other comments you agree with,” The Forward reports. It also provides users sample text to leave in comments section. Targets of Act.il flooding tactics have included RT, ABC News, The Kuwait Times and The Telegraph. Act.il also gives its volunteers offline missions, such as contacting U.S. senators and asking them to support the anti-BDS law. Another offline mission directed users to email a Boston-area church to complain about the screening there of a documentary that is critical of Israel. At Act.il “media rooms” in New Jersey and Boston, local students are trained by “adult mentors” and pro-Israeli videos are produced. Three other media rooms are slated to open across the U.S., including one in Manhattan that will be financed by vulture-fund billionaire Paul Singer. Another is planned for the City of London. Every week, “adult mentors” at the media rooms send progress reports back to headquarters in Israel. And every week, Israel’s new Ministry of Strategic Affairs sends back a list of new targets for missions. Pallywood, a portmanteau of “Palestinian” and “Hollywood”, is a coinage that has been used to describe media manipulation, distortion or fraud designed to win the public relations war against Israel. Exposing Pallywood incidents is one example of our online activism strategy. Our volunteers in the situation-room exposed a false post on Facebook which accused the “Israeli Air Force killing children in Gaza”, presenting a photo from the Hollywood movie “The Final Destination”. We created a campaign revealing Hamas lies, over 30M users were exposed to our campaign, one of them was the editor of RTL German newspaper which decided to create a news report on prime-time German television, which exposed Millions more to the lies. The propaganda video offers only one example of “Pallywood,” and Winter Watch suspects a hoax created in an Act.il media room. Truth is that Irael’s Operation Protective Edge offensive evoked international condemnation for killing 2,104 Palestinians — including 1,462 civilians, of whom 495 were children and 253 were women. Several U.N. workers were also killed. It was because of this 2014 war crime on Gaza that BDS became an international movement. Photos on the wire services of the carnage in Gaza were graphic and horrific. Residential communities, hospitals, schools and U.N. safety zones were mercilessly bombed by the IDF. And, of course, who could forget the Israeli airforce’s bombing of children playing on the beach right in front of visiting international press, who watched in horror. Nope, there’s no need for any Palestinian to use fake photos to illustrate the carnage. This psy-op to discredit is pure evil. All the more insulting about the fictitious “Pallywood” propaganda hoax is that it is Jewish-run Hollywood that has been using movies to demonize Muslims for decades. Here’s a compilation video rife with examples. Ironically, the new Israeli-intel app that trains American hasbara to perform covert propaganda ops against fellow Americans was launched with great fanfare in broad daylight on June 4 in New York City as part of the Celebrate Israel Parade. It’s not as though Jews don’t have a voice in America. The majority of major news outlets across the country are either Jewish-owned or Jewish-controlled. Jews themselves acknowledge that they run Hollywood. They hold leadership positions in business, especially on Wall Street and in banking. They hold top positions in government, from local to federal. In Washington, D.C., there are countless Jewish and Israeli lobbying firms, advocacy groups and special interest organizations. Among the top 20 political donors in the 2012 and 2016 election, 18 of them were Jewish. And Israel receives billions of American taxpayer dollars every single year. Acknowledging the prevalence of Jewish power and influence in the United States is not antisemitic. 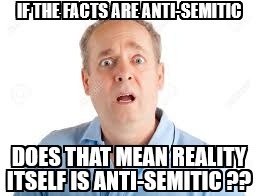 That would mean the truth itself is antisemitic. Given the prevalence of Jewish power and influence operating in the daylight in the U.S., it’s absolutely asinine for Americans to allow Israeli intelligence — or any foreign intelligence for that matter — to recruit Americans to conduct covert operations in the dark on U.S. soil that are designed to suppress free speech and dissent. Free speech and dissent are fundamental to a free America. It’s the foundation of a representative democracy. It’s what separates the U.S. from other countries worldwide — including the E.U., where old ladies get locked up for holocaust revisionism [see here and here]. Free speech is paramount to preventing oppressive regimes and dictatorships. Attempts by foreign agents to thwart free speech and dissent in America is akin to an act of war on Americans and American democracy. Any American who participates in or defends such activity should have their citizenship revoked. If Congress can tell Americans it’s illegal to organize dissent against Israel via BDS, and it’s acceptable for foreign Israeli intel agents to train Americans to suppress the speech of their fellow citizens and propagandize them, then we have truly become an Israel First nation. And then where does it stop? There is a way the Internet community can help thwart this covert operation: Sign up to be a Act.il volunteer, get access to its “mission” list and then alert the public that a source is under attack by covert hasbara and Israeli intel operatives. By raising awareness of Act.il’s activities, the operation loses its “protective edge.” It would no longer be able to feign the appearance of general public support for Israel’s agenda. It would expose this operation for what it is: an online propaganda war launched by Israeli agents against Americans. This article looks current, why are all these old comments here? Very confusing. Originally published in January. Sometimes we rerun still-relevant or still-timely stories, like when we need a day off now and then to travel. So is this where all the Flat Earth nonsense comes from? We finally have the answer. Also, what does everyone think of the latest effort to unseat 47? Will it change much? Can they pull it off? Is it all theatre? Just curious. Looks like political theater to me. A removal and political crisis is due. All part of a Trojan Horse to take down the US and then loot it. Russ, why do you say that the US only allows dual citizenship for Israeli? I’m a teacher and several of my students have dual citizenship, Belgium, Switzerland, and others. Just googling dual citizenship will get you a list of countries that allow it. Very informative piece. Where are the orthodox in all this? That war is still on. Hard to say. The oath of U.S. allegiance that immigrants must take in order to become naturalized citizens declares that the immigrant will “renounce and abjure all allegiance and fidelity to any foreign prince, potentate, state, or sovereignty, of whom or which I have heretofore been a subject or citizen.” It was written into law long ago that dual citizenship was not allowed. But in this increasingly globalist culture, nobody is enforcing this law — or any immigration laws for that matter — not even the courts. Nonetheless, dual citizenship is not codified in U.S. law. Quite the opposite. Congress made a post-war exception for Israel. But again, laws are only as good as their enforcement. During the Obama admin, I heard stories about Americans who had tried to give up U.S. citizenship after becoming naturalized elsewhere and weren’t allowed to! It seems the U.S. government has become more concerned about its ability to collect taxes from whomever it can grab them than about sovereignty or naturalization. Though I stand by what I wrote, I will remove dual citizenship from the list because it seems to be creating an unnecessary distraction. Maybe we should form a hidden group devoted to this infiltration idea so we will feel a part of something and coordinate our attacks? FYI, posting this and the Forward article on my site – good job! Yes, please help get the word out! Well done, good piece. Love the site, I visit it every day. Small correction, Cuomo is the Governor of New York State, not a mayor, and he is Italian-American Catholic, not Jewish. Wow, this is Torchy’s best article ever!! She is off to bed, but I quickly corrected the Cuomo reference. This was/IS excellent & especially relevant since that Al Jazeerah 4 parter came out (finally) on the Lobby this past November. SICKENING to the core. Of course NOBODY on the MSM touched it – it should have been huge and running all week on multiple networks like it would have been had it been anyone other than Israel. Doesn’t mean there isn’t a jew in his woodpile somewhere down the line. Sure thinks like one. Roy Hobs, I thought he was a Jew, as well….he may as well be….lately I’m finding I have a bigger problem with shabbos goy then I do the Zio Jew. How do you know he doesn’t have jew dna? Jews play the “religion vs. ethnicity” argument like a fiddle. For the best explanation, if you don’t mind a theological explanation, have this a read — “Who is Esau-Edom” by Charles Weisman. A free PDF exists online. The Cuomo’s could very well be Crypto Jews. See — John Kerry; Madeline Albright.